I love love this feminine bathroom. 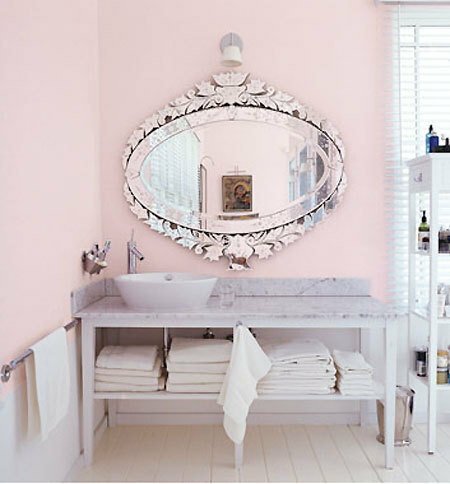 The pink is the perfect shade to compliment the white floor, sink and exquisite mirror. I have had my eye on a similar mirror at Pier 1, but this one is just magnificent. I love how everything else in the room is simple, as the mirror is the focal point. I’m keeping this photo in the file for my future home.